View of the artwork on display in 'Intersects: Native American Art in a New Light'; Peabody Essex Museum; 2006 through 2012. 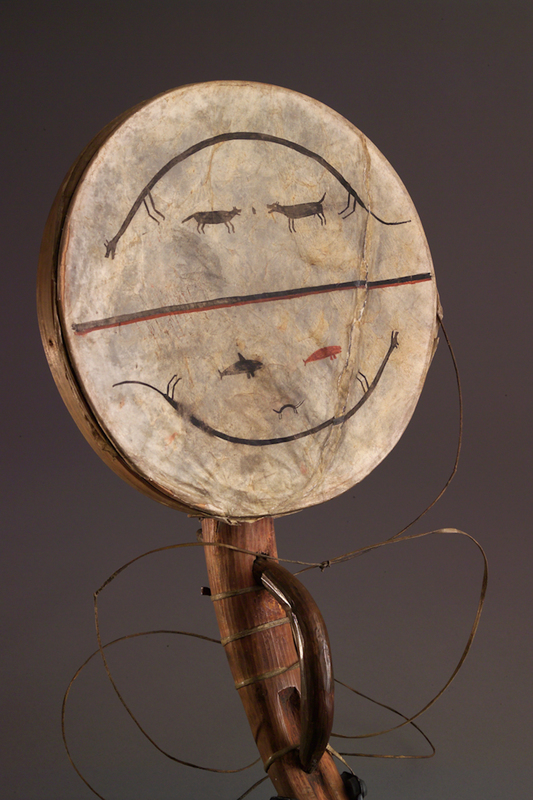 This drum, made from a sea-mammal bladder, was likely owned by a shaman. 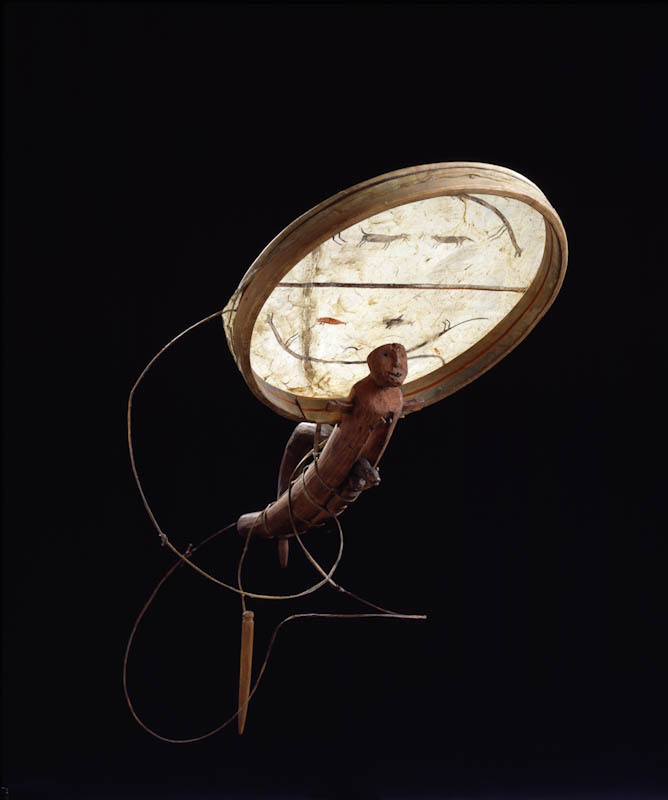 The handle depicts spirit helpers who enable shamans to communicate with other worlds. 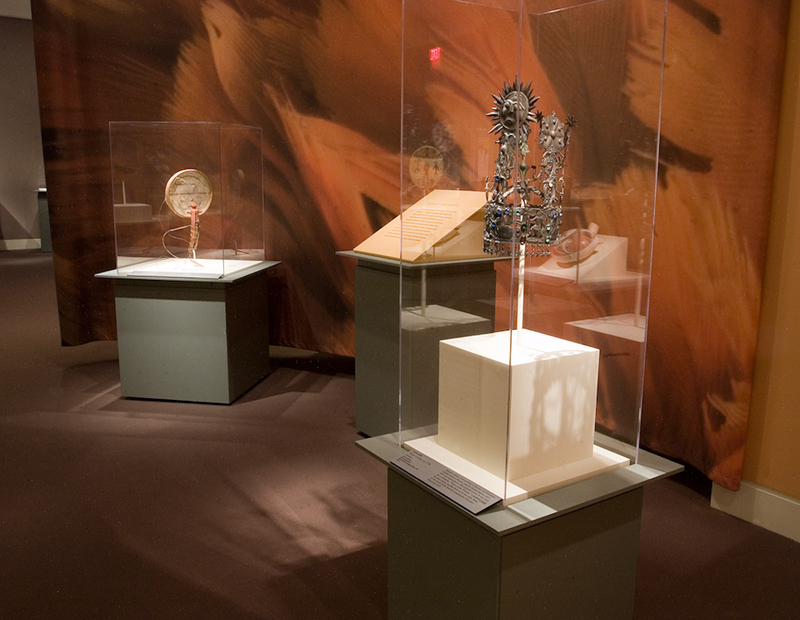 The circular designs, depicting land and sea animals, refer to seasonal cycles of hunting and spirituality in Yup'ik culture. Fienup-Riordan, Ann. Yuungnaqpiallerput (The Way We Genuinely Live): Masterworks of Yup'ik Science and Survival. Seattle: University of Washington Press / Anchorage Museum Association, 2007.